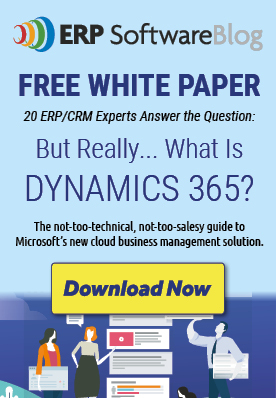 Are you in the market for Microsoft Dynamics GP? Would you like to know how much you can expect to pay, not only for the software but for the installation and any ongoing costs? At the ERP Software Blog, we know that for many businesses, having a ballpark estimate of the total cost of owning their ERP software solution is an important step in the selection processes. We want to make it as easy as possible for you to get a working estimate for budgeting for your Microsoft Dynamics GP project. That’s why we’ve developed the ERP Software Blog’s Quick Quote Wizard. Not all businesses have the same requirements or the same operating budgets. The Quick Quote Wizard is designed to take into consideration your ERP requirements and instantly generate a price quote that will help at the beginning of your budgeting phase. On the right-hand side of each page of the ERP Software Blog, you’ll see an orange bar labeled “Request an Instant Dynamics ERP Quote.” When you click on that bar, you’ll be taken to the Quick Quote form. Your answers to a few brief questions about the ERP functionality you require and the level of support you desire are all the Wizard needs to generate your instant estimate. 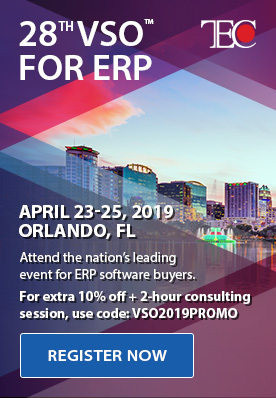 The estimate will be returned to you by email and will include truly useful information that you can use in making your ERP decisions. As an added service, your contact information will be given to just one of our ERP Software Blog Dynamics partners who will be able to answer any questions about the solution and work with you on implementation if that is what you choose. You are under no obligation, and both the quote and the referral are non-binding. Having a clear idea of the cost of ERP software as well as implementation and ongoing costs will bring you a giant step closer to having the tools you need to grow your business and meet your goals. This service is free, easy, and instant. So why not try the Quick Quote Wizard today?